Borage - What Is Borage Used For? What is Borage Used For? 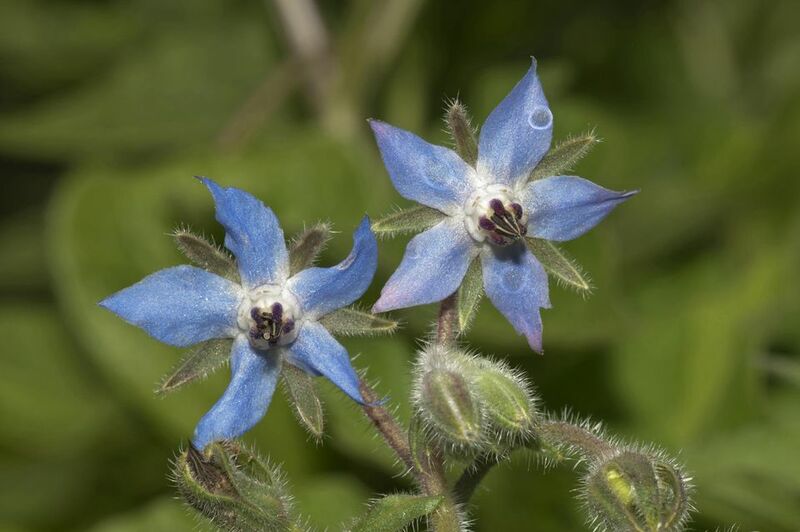 Borage is an interesting herb, that gets little recognition. It is truly beautiful, with blue, edible flowers and lovely fuzzy leaves. Grow Borage for its beauty and taste. A multi-purpose herb that belongs in any herb garden. Annual herb but watch out! Borage tends to escape by reseeding. All aerial parts of the plant may be harvested. The best time is when the plant is in full flower and seeds are starting to form. Borage is a fantastic plant for your herb garden. It is showy, growing 3 feet tall. It has stunning bluish purple flowers and blooms all summer long. Borage flowers also taste great. Their cucumber like taste, is good in salads and sandwiches. Try these lovely flowers in your iced tea, for a cooling effect on a hot day. Besides being a great showpiece in the garden, Borage is a companion plant for both strawberries and tomatoes. It is said to improve the flavor of both. What is a Basal Leaf? Why Is the Elderberry an Effective Way to Fight the Flu?